Based on in-depth research into the field of Fashion, Lifestyle and Personal Blogging, we have developed this comprehensive WordPress theme to deliver everything you’re looking for from a Blog website. 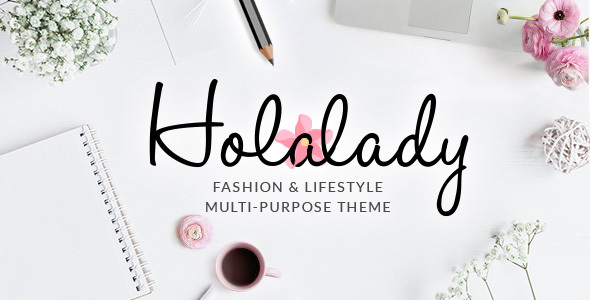 HolaLady is a premium Fashion, Lifestyle and Personal Blog WordPress theme, tailored to your needs and to the expectations of your clients. This theme delivers many various possibilities which will help you easily create a beautiful, stunning and unique website. Highest quality of code, extended and easy-to-read documentation, prompt and qualified support are the key features “HolaLady” is standing out with.